A’ Design Award & Competition, one of the world’s most known design awards program is offering 7500 Euros worth of prizes to as many as 20 contestants who submit the most compelling ideas to advance the A’ Design Awards & Competition. 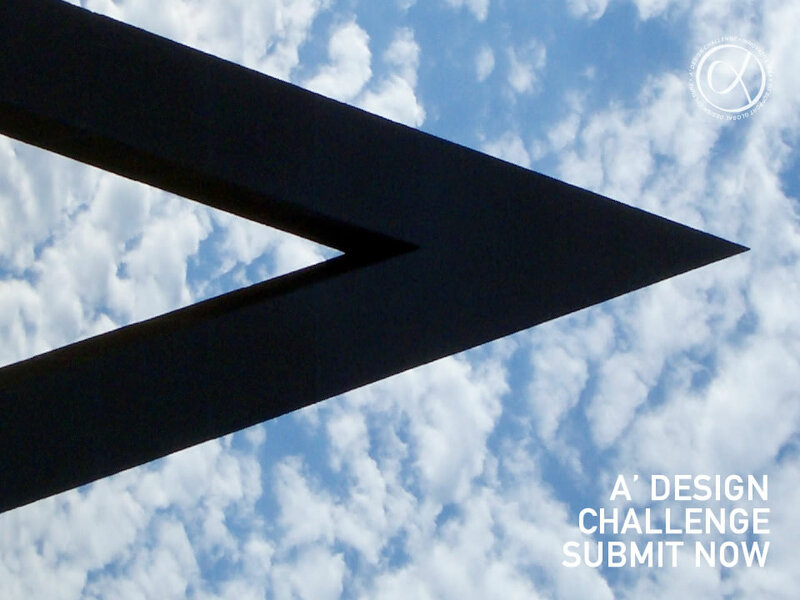 The call for submissions for the A’ Design Award Challenge is open every-year between 15 and 21 of January. Current deadline is January 21, 2019, since this is an annual design contest, submissions can be made throughout the year regardless the call for submissions period, therefore even if you have missed the deadline you could still submit your ideas for the next edition now. The results of the current A' Design Challenge will be announced on January 25, 2019. Winning contestants will be given opportunity to attend the A’ Design Award Gala-Night and join the A’ Design Awards’ Winners’ Exhibition at Como, Italy. Winners will also be given nomination tickets to join A' Design Awards to submit their own projects and get publicity and dissemination for their works. Through the A' Design Challenge, A’ Design Awards seeks innovative ideas that support their mission – to provide a fair, ethical and competitive platform for companies, designers and innovators to compete on, while providing them a global audience to showcase their success and talents to. Since its foundation in 2009, A’ Design Award & Competitions have been supporting the global design culture by providing an ethical and equal platform for designers from all over the world to compete on. Design Ambassador Program which lets design students to take part in the competition without the fees. Suggest a Talent program which aimed to improve the quality of submissions by providing best designers an opportunity to join the awards with reduced nomination fees. Award Scholarship program that aimed to provide financial aid to participants. No-Further-Fees Scheme that was developed to improve the prestige component of the awards. Distinguished Designer Program that provided opportunities and discounts to A’ Design Award winners. Buy-Sell Design Platform that allows award winners to get business leads. Design Mediation services and support to award winners to ease business deals. Salone del Designer platform to help award winners sell their design concepts online. Design Mega Store platform which allows winners to sell their design products and services. Design Creation platform that gives you a proof of creation for design paternity. Design Interviews service by DesignPRWire that allows winners to get faster press response. Press Release preparation and distribution service by Design PR Wire for award winning designs. Design Media and dissemination tools and networks to spread the news about award winning designers. World Design Rankings and Designer Rankings that lists the worlds best designers. Good Design Mark logo licensing for award winning product designs. Further programs and initiatives regarding A' Design Awards could be seen at whatisadesigncompetition.com; We suggest all participants to first check the A' Design Award program to submit ideas that are not yet implemented, new and unique. 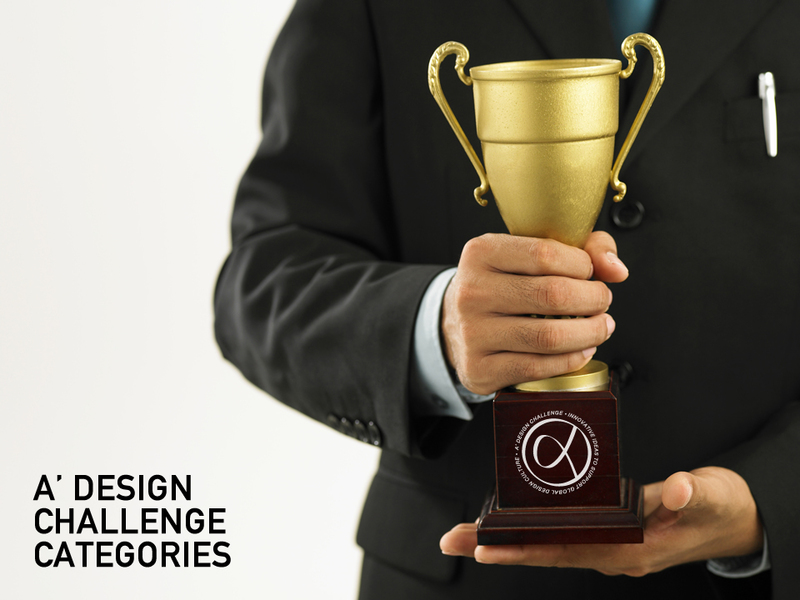 Below, you will find the A' Design Challenge categories. For each of the categories listed above, two winners will be provided A’ Design Awards Nomination Tickets that is worth 375 Euros each. Please be reminded that there are not any further fees for A' Design Awards as described here. Entries will be de-identified and judged by A’ Design Award organizers. Criteria include relevance to the A’ Design Awards mission; whether the goal is daring, bold, unconventional, or exceptionally innovative; and their financial feasibility. Submitted ideas should be specific and attainable in about two years. 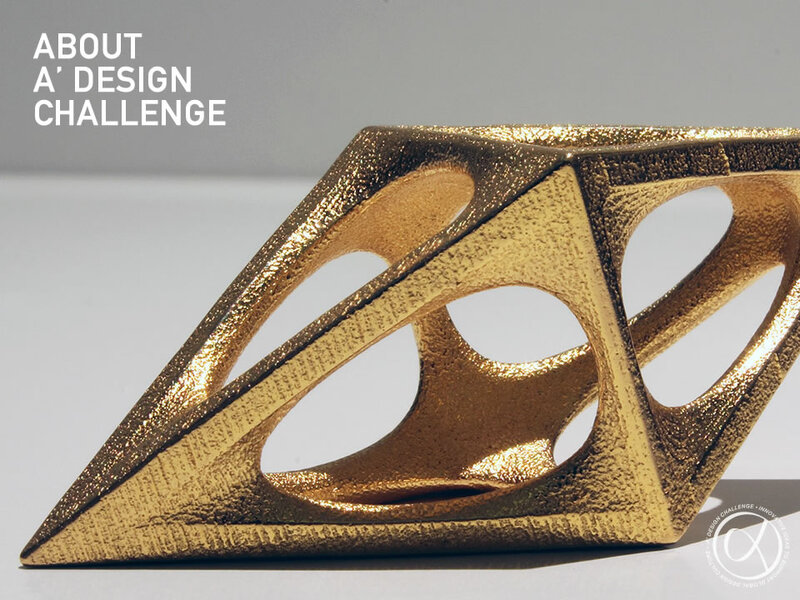 The results of the current A' Design Challenge will be announced on on January 25, 2019. Winning contestants will be given opportunity to attend the A’ Design Award Gala-Night and join the A’ Design Awards’ Winners’ Exhibition at Como, Italy. Two winners in each category will also receive A' Design Award nomination tickets. Entries will be blind. Winners will be communicated via email.